Have you noticed how many favorite characters in children’s literature are orphans or have absent parents or missing parents or neglectful parents? What is the draw? If a book character does not have a parent, then he or she does not need to follow certain rules that a parent might put into place. The characters can take off on an adventure at a moment’s notice. They can try something risky without fear of parental punishment. It’s attractive for young readers because they can follow an imaginary character who has total independence and freedom. Imagine Harry Potter hunting down Voldemort had James and Lily Potter been alive. Without a parent imposing rules, the book character is free to take risks, and readers can join the adventure from the safety of their homes. 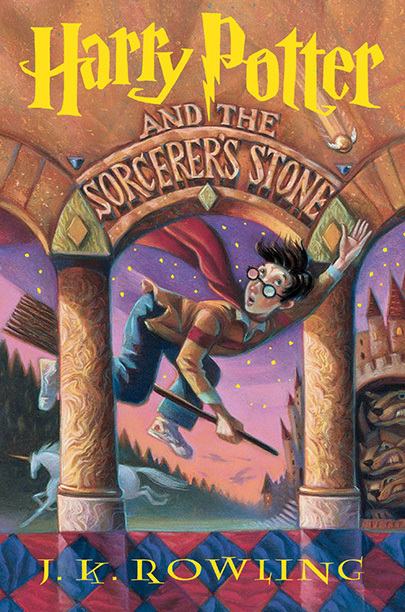 Even though the stories may be sad or scary (or both), young readers love to read about a character who is close to their age and triumphs over adversity. There are so many great children’s books with protagonists who are true orphans or close to it. 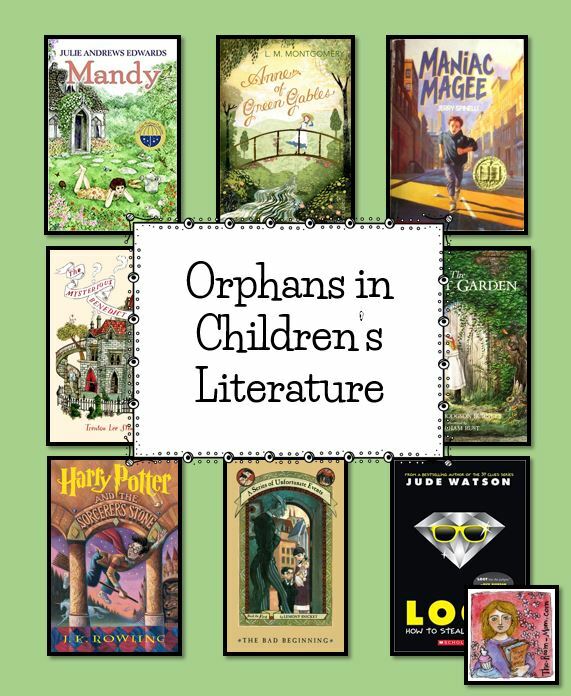 In addition to Harry Potter, here are a few more orphans-in-literature suggestions. What started as an “early finisher” activity for students five years ago has turned into one of my signature projects in the fourth grade. 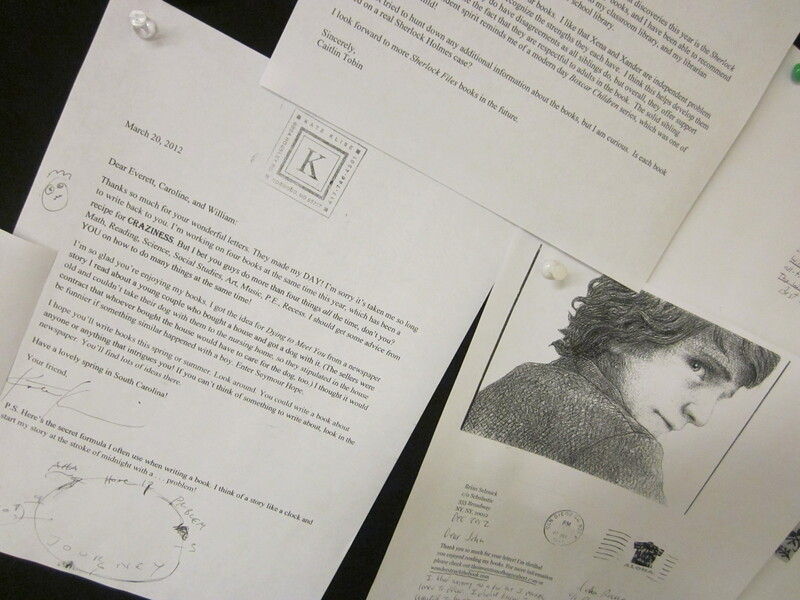 Each year, my students prepare a letter to a favorite book author as one of our first writing assignments. They start by hunting down contact information for the author (research skills!). Then, they brainstorm reasons they like a particular author and his/her book(s). We review business letter format, and the students draft a letter to the author. After editing, the students prepare their final draft, and we mail the first wave of letters. From that first letter drop, we might receive a reply within a few weeks or wait close to nine months to get a reply. After we walk through the process of creating an author letter, students continue to write letters when they have free time. We send and receive letters all year. I wrote a post a few years ago about this project but since we received our first author reply this afternoon, I got excited and thought I needed to blog about the project again. It is one of the best ways I have found to motivate reading with my students! It is easy to write a book author, but if you want a higher reply success rate, I have some suggestions. Newer authors have websites with an e-mail address and are more likely to send a personal reply. We e-mailed Jody Feldman, Jonathan Auxier, Tracy Barrett, Erica Kirov, and a few others. In most cases, we received replies within three days. The replies were unique and specifically responded to the letter written by the students. Some authors even gave new book suggestions, which built excitement among the students to pick up an unfamiliar book. Other authors provide a snail mail address on their website. These replies take longer– sometimes up to three months, so be patient. Kate Klise has written us back for the past four year and each letter contains different content. Mega authors like J.K. Rowling and Sharon Creech are overloaded with letters and are less likely to reply to fanmail personally. They will send a generic reply if you include a self-addressed stamped envelope with your letter. If you can’t find contact information on the author website, locate a mailing address for the author’s publishing company. Mail a letter to the author c/o the publisher. Publishers will forward all mail to the author. We mailed a letter to John Christopher via his publisher. 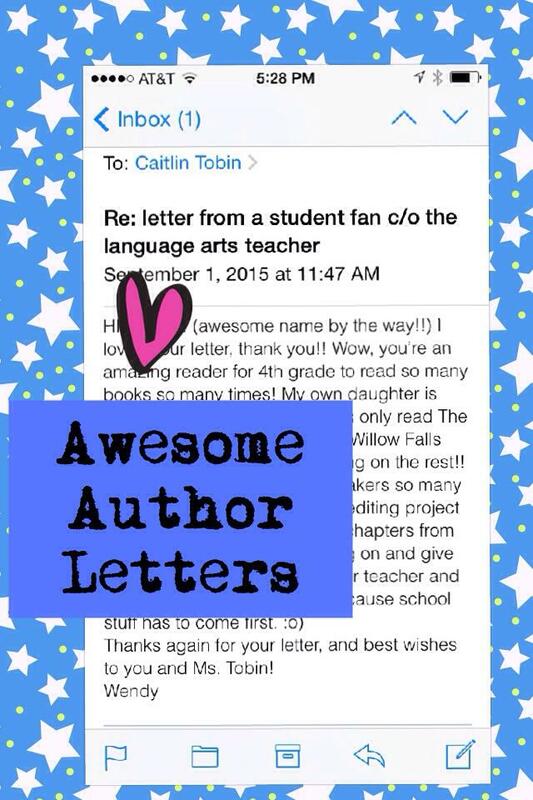 We did not realize that the author had passed away, and his daughter actually replied to our letter several months later! To download free student materials for this activity from my TpT store, CLICK HERE. I keep seeing articles about how to encourage children to read throughout the summer. All of the articles make the same basic suggestions. Set a daily reading time. Establish a specific amount of time to read each day. Get involved in a reading incentive program at a local library or bookstore, and provide good book choices. Ultimately, if your child/student likes to read, he or she will continue to read in the summer as long as there are books available. If you do not have a child who is an avid reader then you (or another adult) have to support the reading habits if you want any reading to happen. You will need to provide reading material or opportunities to choose reading material; model reading (that means read yourself); read together, and have book discussions. Even though we often think of reading as an independent activity for older kids, a child will develop better reading habits if reading is treated like a group activity, and all participate. I wish there was a pill to magically make a child a reader but there is not. 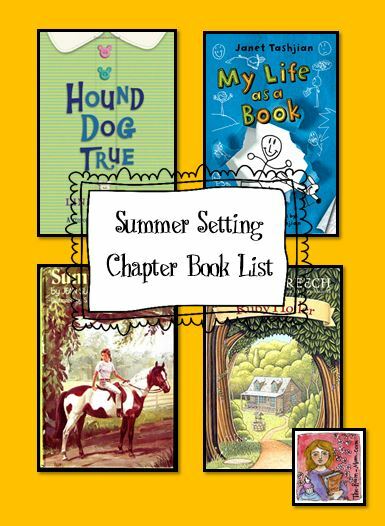 If you need a little kick-start finding a book to help your child get over the reading-when-not-at-school hump, try a book that takes place during the summer when the characters in the story are also not attending school. For younger readers, try The Boxcar Children series by Gertrude Chandler Warner specifically #2 in the series. I could not remember for sure, but I think some of the Ivy and Bean books by Barrow take place during the summer as well as some of the Judy Moody by McDonald. Now that Mr. Star Wars and Miss Priss are beyond the early chapter books (sniff), my radar is not as good for these younger titles. I have been reading at a pretty good clip since school ended. 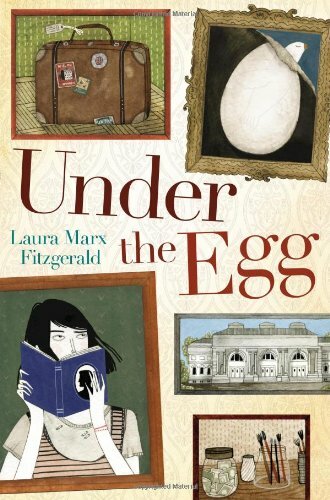 I just finished a book called Under the Egg by Laura Marx Fitzgerald. At first, I thought it was going to be another book with Quirky Sidekicks that seems to be the current trend in juvenile literature. 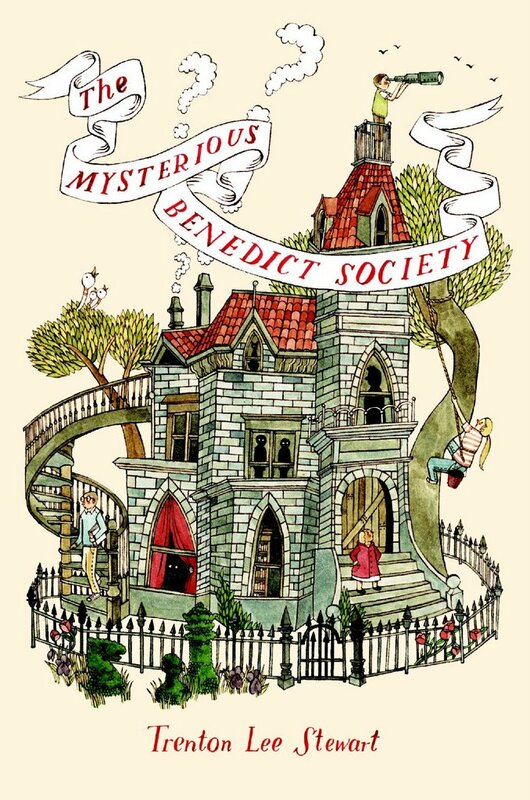 While there are definitely oddball characters, the book is more of an art mystery. It is a combination of From the Mixed Up Files of Mrs. Basil E. Frankweiler and The DaVinci Code. Some of the solutions in the story are a little too convenient, but overall, I loved the information about the Renaissance painter, Raphael, World War II, and the Monuments Men. 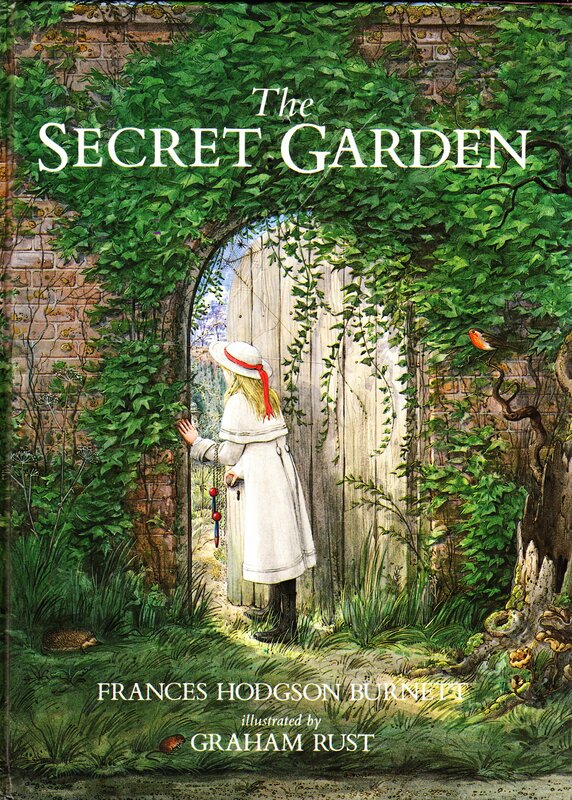 There are a handful of other books that center around family heirloom secrets in order to reach the resolution. 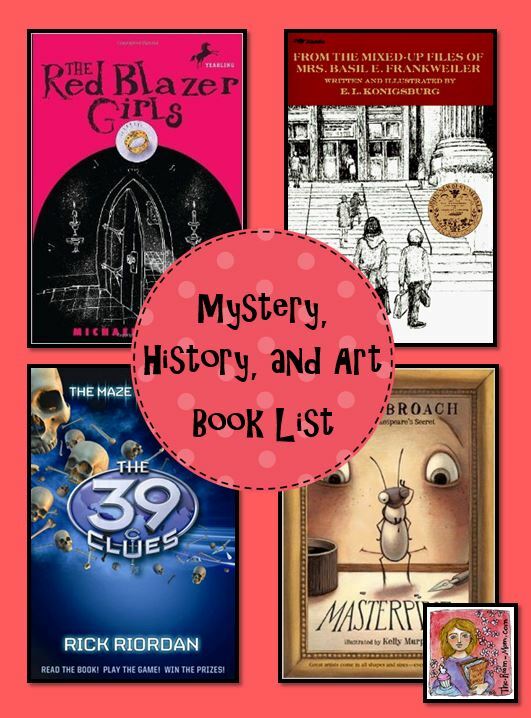 I love the scavenger hunt aspect to these books and recommend them for students because they require a ton of critical reading skills to follow the plot. Many of these books are cross listed on my Scavenger Hunt Book List as well as my Fate and Destiny Book List. Obviously, I am drawn to this style of book. What is on your summer stack? Magical candy is kind of a draw in children’s literature. 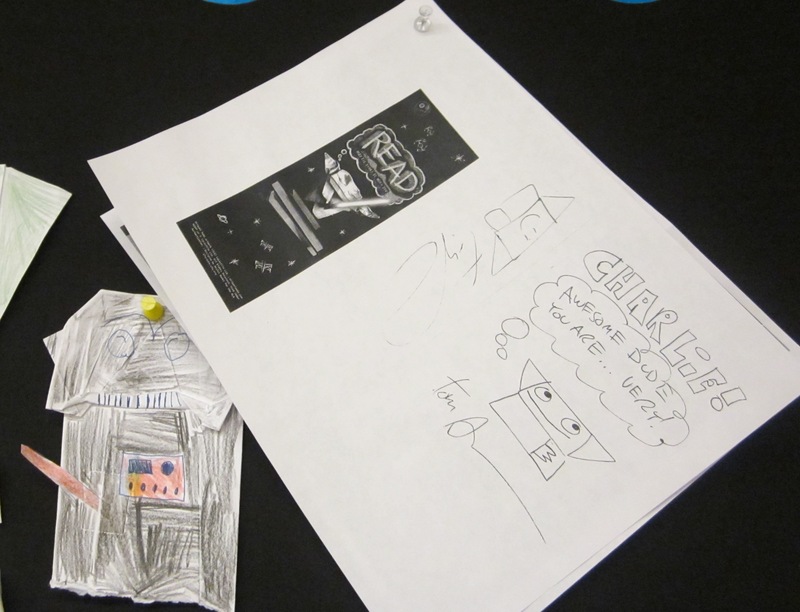 Mr. Star Wars recently read The Whizz Pop Chocolate Shop and let me borrow it when he finished. 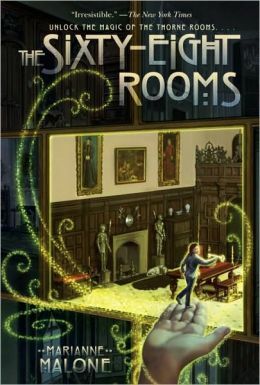 In the book, a family inherits a closed down chocolate shop with lots of magical secrets. It is my newest Charlie and the Chocolate Factory “read alike” book. Books that use food (particularly chocolate) as a central plot detail are a big hit with kids. Mr. Star Wars and I tried to name all of the books we know that use food in some way. We came up with chapter books with candy, chapter books with non-traditional foods– like worms (! ), picture books, an even some books that one food item steals a scene. I cut us off after we started on the picture book titles because there are just so many books we could list. What is your favorite book that will make your mouth water?